Dem bones, Dem bones, Dem dry bones! On a hot late summer’s day, three years after we had gathered to bury the jawbones and vertebra of the Fin Whale recovered by Roger Radcliffe and a team of helpers from a cove close to Porthtowan Beach in February 2010, almost the same group met in a St Agnes field to exhume the bones, thanks to the generosity of Ben Lockley of B Lockley Groundworks and his mini digger. 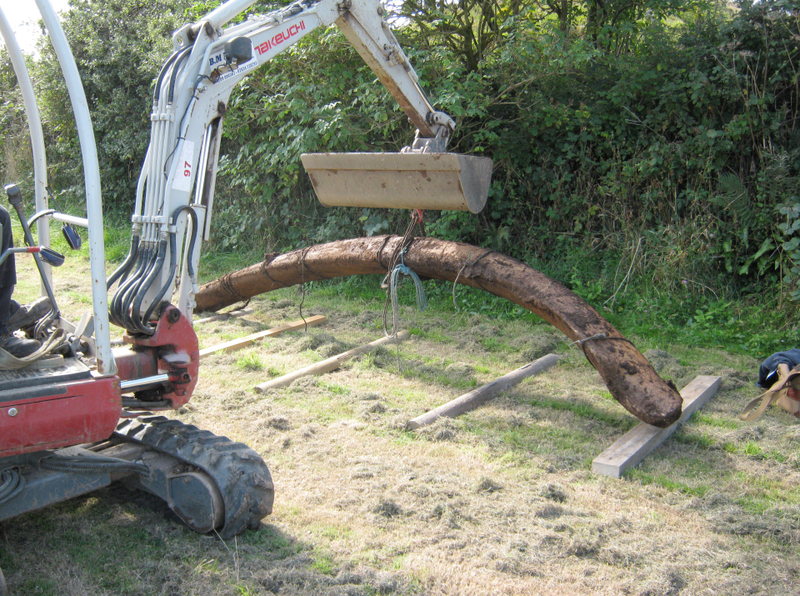 Fortunately we remembered accurately where the five metre long, immensely heavy jawbones had been buried, and after a few anxious moments, their outline became visible in the excavated trench, stained a mahogany brown due to their contact with the soil and the three tonnes of horse manure whose microbes, it had been hoped, would cleanse the bones’ interiors. The bones were carefully lifted from the trench and laid on the grass to be washed off. 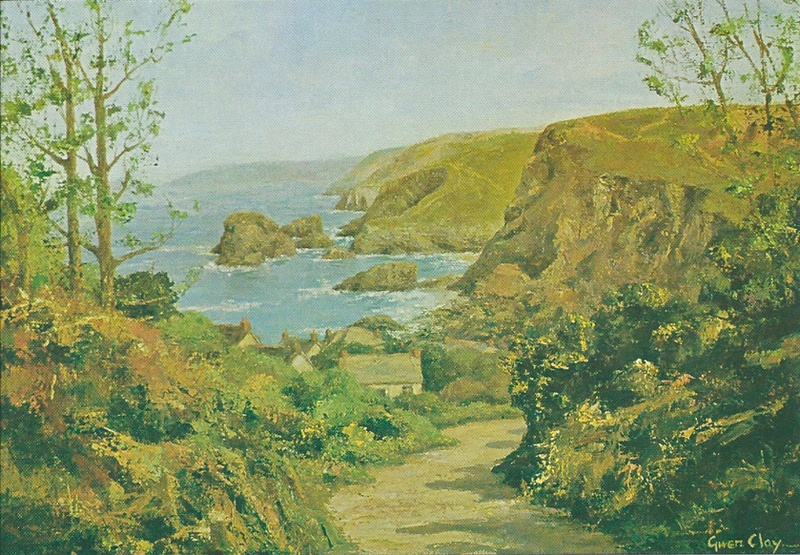 Some of you will remember Gwen Clay, a very well known and loved local artist, and a founding member of St Agnes Art Group, who lived at Wheal Friendly in St Agnes. Following her death last year, her family have generously offered us the loan of some of her oil paintings for an exhibition should we wish.